The fourth Industrial Revolution is witnessing the ever-advancing convergence of the physical with the digital world. The drive to generate added value from data gleaned from machines has seen a rapid rise in the number of sensors and actuators. As a result, networking in machines and systems and the attendant number of connections is increasing in leaps and bounds. In the future, every machine and every component in factory halls will exchange large amounts of information and data. At this year's "electronica" trade fair (13-16 November 2018 / Hall C2, Booth 548), HARTING will be presenting innovative, targeted connectivity solutions for the IIoT world. Infrastructure adapts to new demands in order to ensure that it remains compatible for the coming IIoT and that the demand for ever more intelligent sensors can be met. Devices are getting smaller and smarter, and the connector that’s needed is developing in step with this trend. The HARTING ix Industrial® allows device manufacturers to design up to 40% smaller devices. 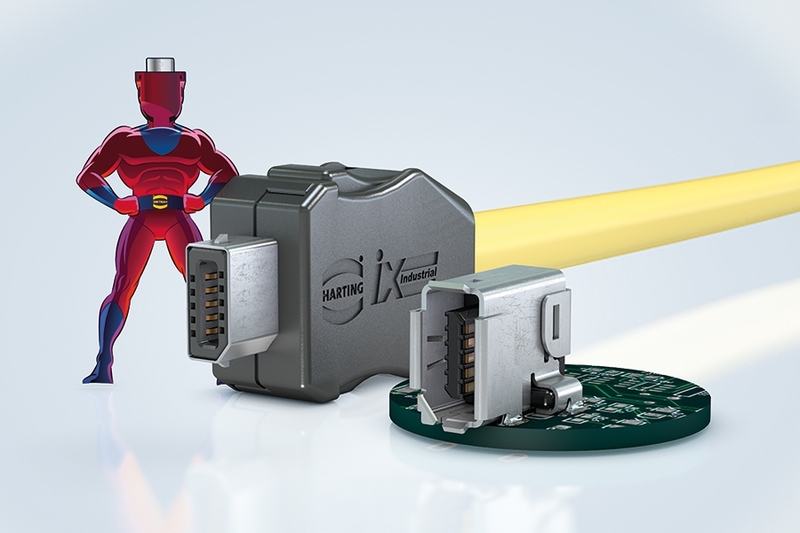 HARTING kicked off the process of standardising new interface standards with the new hero of Industrial Ethernet communication ("Captain ix") back in 2016. 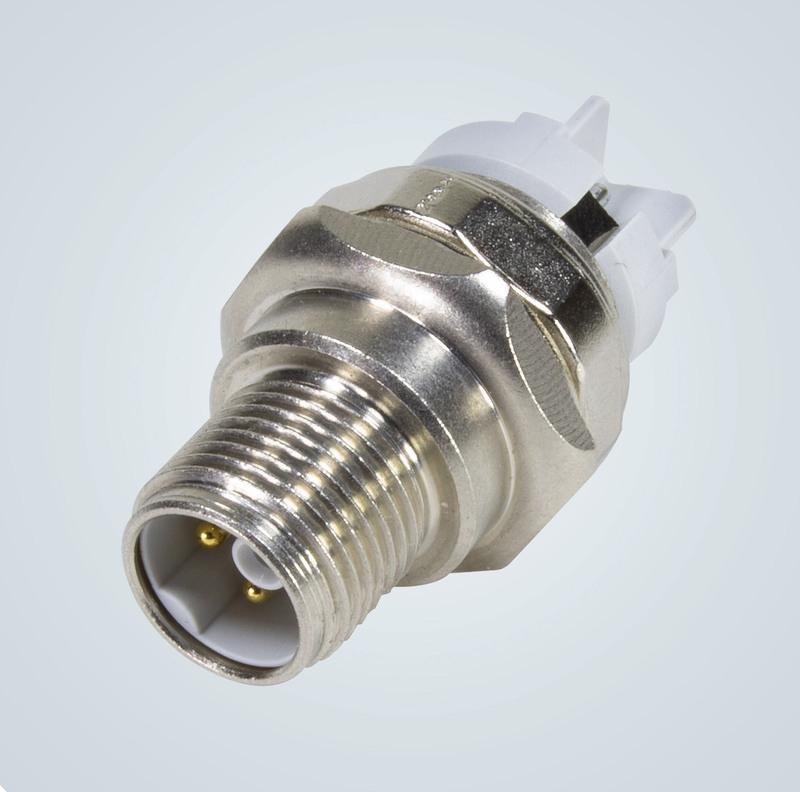 Today, the HARTING ix Industrial® is a market-available connector that enables device manufacturers to design their devices up to 40% smaller. In order to manufacture devices efficiently, connectivity must support an optimal manufacturing process. 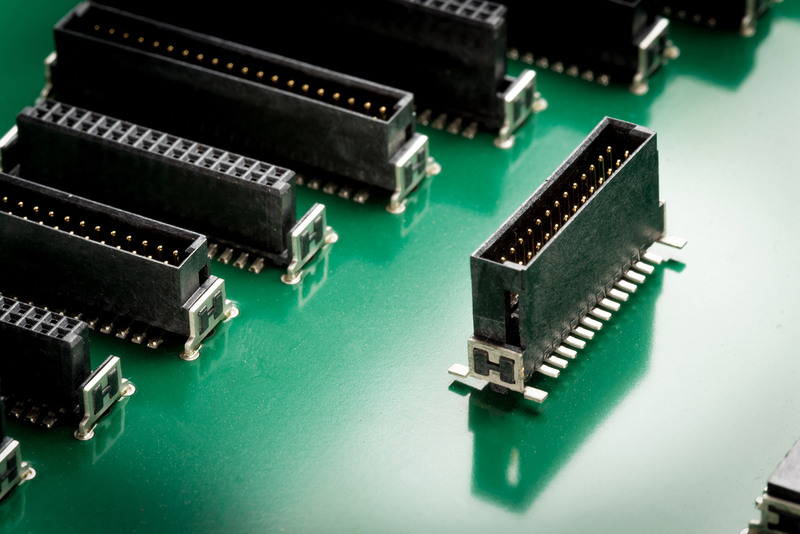 SMT/SMD assembly technology for all interfaces is required to achieve efficient production. In order to further support automated production, printed circuit board sockets are available on rolls in which device sockets are accommodated in pick & place-compatible manner. Subsequent handling of the interfaces on the devices is also geared towards performance. Cutting assembly time while simultaneously simplifying and improving operation is one of the indispensable cornerstones of a modern interface. At this year's “electronica” trade show, HARTING will demonstrate how PCB-mounted connectors make communication in the IIoT world possible. The PushPull locking technique represents a very significant aspect here, since previously employed interlocks such as screw technology will no longer be adequate for ever shrinking connections. As a result, the handling aspect of connectivity is assuming increasing importance. HARTING PushPull technology increases operating safety and efficiency during use. The M12 Power in K-coding (right) is ideal for compact and powerful drives. In order to also make the power supply component of devices simultaneously smaller yet more powerful, HARTING will enhance its M12 Power series in spring 2019 by adding the standardised K coding for power supply. Offering 7.5 kW at 630 volts and 16 amps, the device interface provides enough power for compact yet powerful drives and represents a future space-saving alternative to 7/8-inch solutions, while also keeping in step with the miniaturisation trend. Would you like to learn more about our products and solutions?